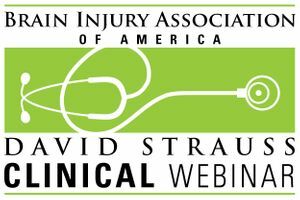 A David Strauss Memorial Clinical Lecture webinar featuring Joseph Giacino, Ph.D., Douglas Katz, M.D., and John Whyte, M.D., Ph.D. Aired live November 14, 2018. Joseph Giacino, Ph.D., Douglas Katz, M.D., and John Whyte, M.D., Ph.D., discuss the recommendations for the diagnosis and treatment of disorders of consciousness developed in the collaboration of the American Academy of Neurology (AAN), the American Congress of Rehabilitation Medicine (ACRM), and the National Institute on Disability, Independent Living, and Rehabilitation Research (NIDILRR).